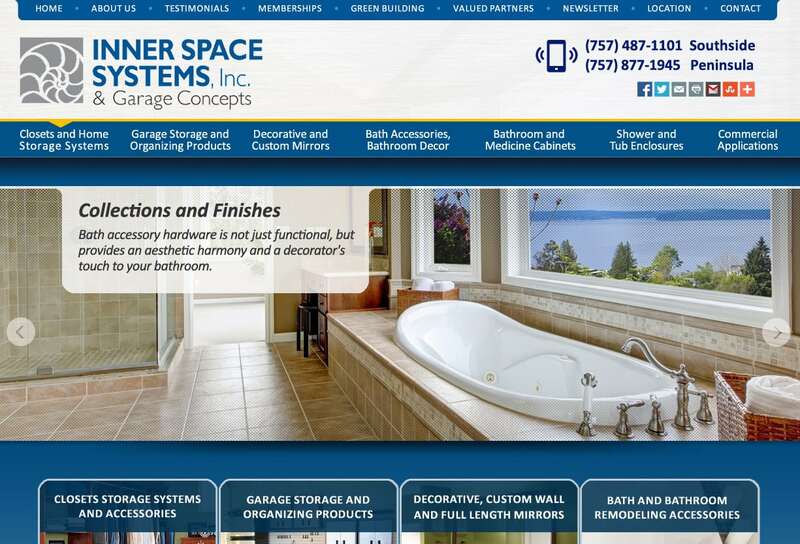 Web Design Portsmouth VA – Web designers Portsmouth VA. For nearly a decade Inner Space Systems has been a loyal VISIONEFX client. In 2016 ISSVIP asked VISIONEFX to once again redesign their website in keeping with the advances of Internet technologies to include; browsers improvements, wide screen screens for desktops, increased usage of mobile phones and hand-held devices such as tablets. VISIONEFX recommended having a mobile responsive website developed in Word Press. Take a moment and view the new web design in the screen shots below. VISIONEFX provides web design in Virginia to small business and organizations throughout the region. When searching Web Design Portsmouth VA – Web designers Portsmouth VA look no further than VISIONEFX for all of your website needs.